Samsung is rumoured to be planning to introduce a handful of Galaxy A 2019 series smartphones in the coming months. 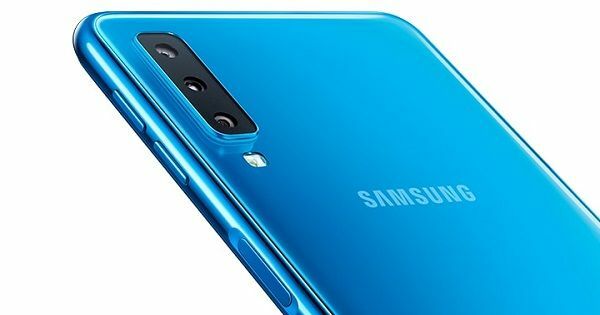 Some of these models are expected to be the Samsung Galaxy A10, Galaxy A20, Galaxy A30, Galaxy A50, Galaxy A70, and Galaxy A90. The Galaxy A50 is said to be a high-end offering of the upcoming devices, with several premium features. The phone’s launch is getting closer as it was recently certified by Wi-Fi Alliance and Bluetooth SIG recently. Now, the device has received certification from yet another regulatory authority. The Samsung Galaxy A50 has now been certified by the US Federal Communications Commission (FCC). Both the phone’s single and dual-SIM variants with the model numbers SM-A505F and SM-A505F/DS have appeared on the regulatory authority’s website. The certification has revealed that the handset will sport a 6.22-inch display and will have the dimensions of 158.5mm x 75.5mm. Furthermore, the listing confirms that the device will come with dual-band Wi-Fi and Bluetooth 5.0 connectivity options. As per earlier reports, the Samsung Galaxy A50 will come with a waterdrop-style Infinity V notch atop the display. The phone is said to offer as many as three primary cameras at the rear. The smartphone is tipped to flaunt an in-display fingerprint sensor and wireless charging capabilities. The device is expected to be powered by an Exynos 9610 processor, accompanied by 4GB of RAM. The other rumoured Galaxy A50 specifications include 64GB and 128GB storage variants, Android 9 Pie software, a 25-megapixel primary rear camera, and a beefy 4,000mAh battery.